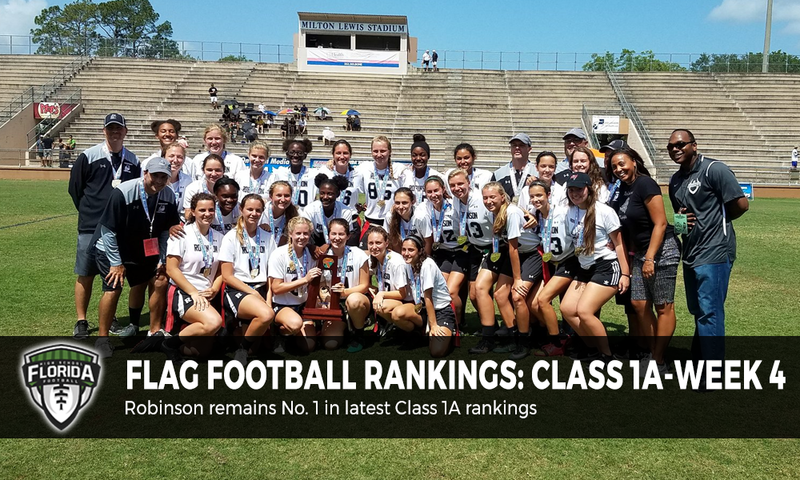 Each week during the season we update the Top 25 rankings in Class 1A providing our Top 10 teams as well as provide The Next 15 teams that we have ranked to complete the Top 25 rankings. Information used to determine the rankings include record, quality wins, defeating ranked opponents and strength of schedule. It is important that teams update their information with scores with us on a regular basis each week by emailing us score reports at flag@floridahsfootball.com, sending us a direct message on Twitter @FlaHSFootball or updating scores in the ScoreStream app. Lack of information (scores) reported by the teams will only hurt their chances of being ranked, especially if they are having a solid season. The Buzz: The Knights took care of business with shutout wins over Jefferson and King and will travel to Blake earlier in the week before hosting Bloomingdale later in the week. The Buzz: The Indians return to action this week by taking a short trip up to rival Niceville for a major district contest. The Buzz: Cougars remain undefeated and one of a very few teams in the state that still have yet to be scored on this season by gaining wins over FAMU DRS and Crossroad Academy. Cougars travel to Madison County and Rickards this week for big subdistrict games. The Buzz: Game against Miami Northwestern was rescheduled for later in the season due to a brawl between the two schools’ track and field programs. Edison heads into spring break this week. The Buzz: The Falcons continue to remain undefeated posting shutout victories over Port St. Lucie and Lake Placid last week. This week they host Westwood and then travel to Sebring for two more big district contests. The Buzz: The Longhorns return from spring break this week with matchups against Gateway and East River on the docket. The Buzz: Only one of two games scheduled for last week were actually played due to weather with the Blue Devils picking up a 39-0 district win over Bradford. The Buzz: Pines Charter picked up three more wins last week against Coconut Creek, Archbishop McCarthy and Stranahan to remain undefeated heading to spring break this week. The Buzz: Braves return to action this week following spring break and will host Englewood later this week. The Buzz: Despite only having played two games, there is a lot to like about this team that we will see at the Capital City Classic in Tallahassee in two weeks. However, depsite being on spring break the Generals will play at Martin County on Friday.